Summary: A short walk perfect for a half day or even for a summer's evening. The walk begins in the quaint village of Healey near Masham and heads south east across fields to River Burn. From there the walk continues over fields past Stonefold Farm and more fields to Sole Beck which is followed for a short while before climbing to High Knowle and then into Druid's Plantation, home of the Druid's temple folly. 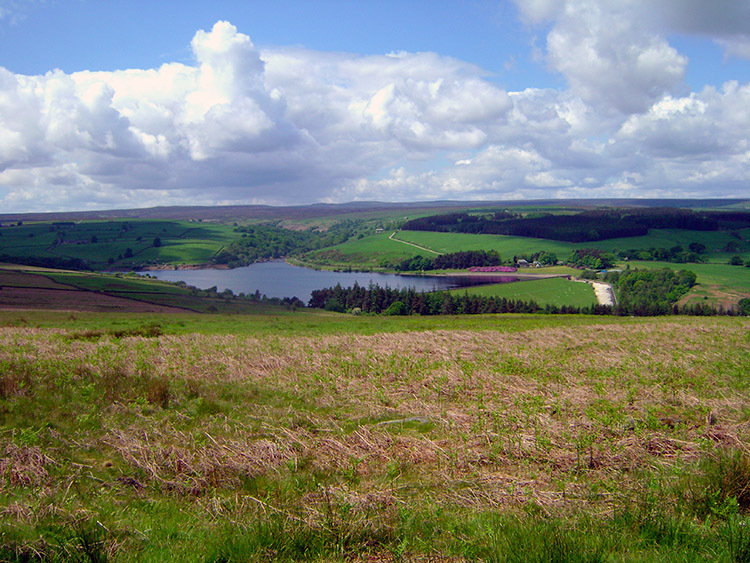 Explore here before descending south west towards Leighton Reservoir before veering east to Broadmires and then back to River Burn along a quiet country road. Then return to Healey on the same course by which you came. 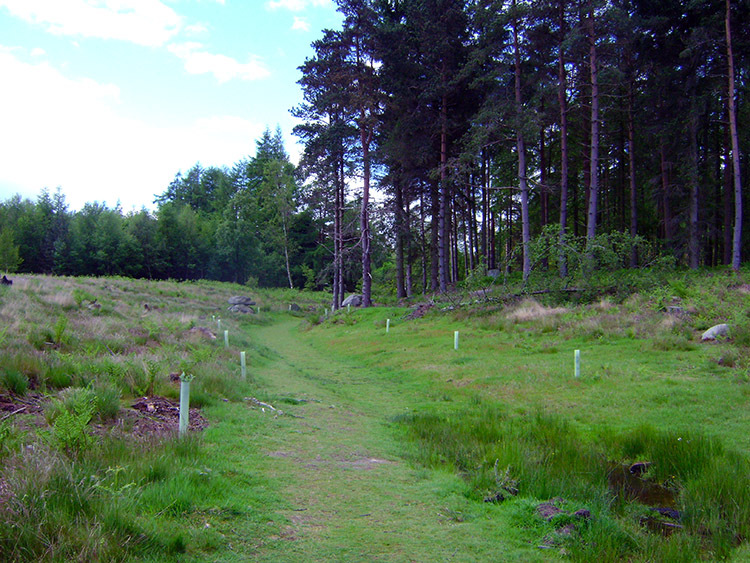 The Walk: This walk is a pleasant six miles but it can be shortened to just one mile for families with young children by simply parking up at the entrance to Druid's Plantation and taking the short walk into the woodland where Druid's Temple stands in a splendid central location. Then the young ones can explore the folly and surrounding woodland at their leisure while parents relax. This option misses out on some wonderful countryside with babbling brooks, pleasant woodland and green fields which bless the area in the Healey, Fearby and Ilton areas which neighbour the market town of Masham. And that is where my day began. It was a lovely Sunday morning during the summer of 2012 of which there were not many so Lil and I decided to have early breakfast and afterwards head of in the car to the countryside. It was an impromptu decision and just over an hour after setting off from our home in Harrogate we ended up in Masham. There was a farmers market which we explored for a while and Lil picked up a few goodies. Then after a coffee break in one of the cafes surrounding the town square we headed off from the town on the road west heading towards Nidderdale. While drinking coffee the inspiration came to me. "Let's take a walk to Druid's Temple" I asked Lil, "Not too far, six miles at the most" I added to reassure her "After all we have often said we would go but as yet we still have never been". The reasoning convinced her and after all it was a lovely day. So after driving through Fearby we parked up in Healey and soon we were on our way. 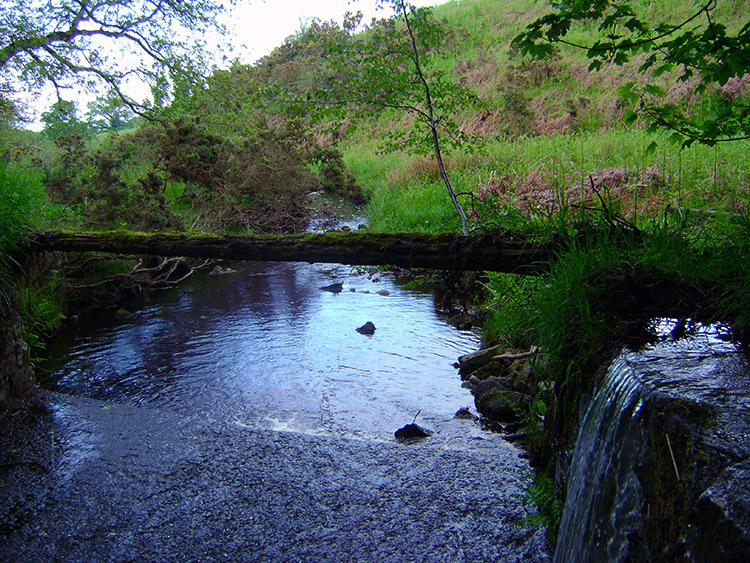 The walk started with a lovely journey downhill across short grassed pasture fields to River Burn. 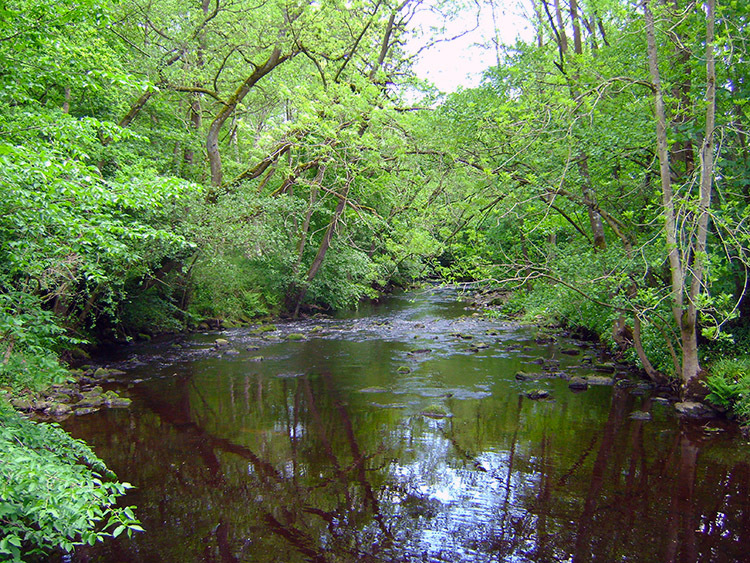 We reached the river near Swinton Saw Mill and on reaching its bank we followed it to a quaint road bridge, at this point joining the course of the Ripon Rowel trail which took us over the road bridge and to a road junction where we turned right to leave the road and follow a course due south on a track to Stonefold Farm. After the farm we crossed more pleasant short grassed fields on a mostly south and slightly east course to reach Sole Beck Gill. The brook was gently shaded by trees on either side of its bank and we followed the gill upstream through the narrow strip of woodland past Sykes Farm, over a footbridge and straight across a road to continue following the gill upstream a little longer before our gentle ascent was abruptly changed to a steeper haul up a couple of fields and away from Sole Beck Gill to High Knowle. 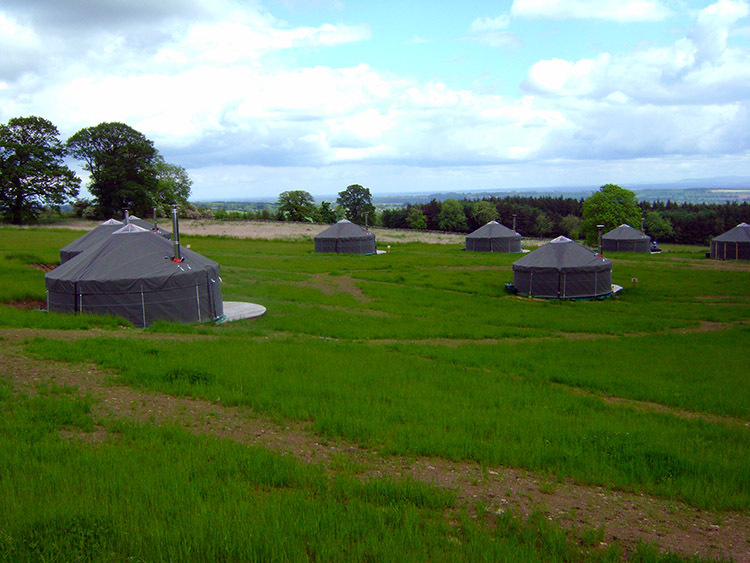 Here we saw Yurts in a field beside the farmstead. Some families were enjoying a spell of the simple life. After passing High Knowle and the field full of Yurts we pressed on a up to the topmost point of our walk in Druid's Plantation. From solitude we were now in company as groups of walkers, some families with young children, some young couples and some mature ones too, were all enjoying the day and the walk exploring Druid's Plantation. Paths were wide and well managed, evidenced by some people less mobile making the effort to enjoy the surroundings too. We rested for a short while before pressing on and finding the main objective of our walk. 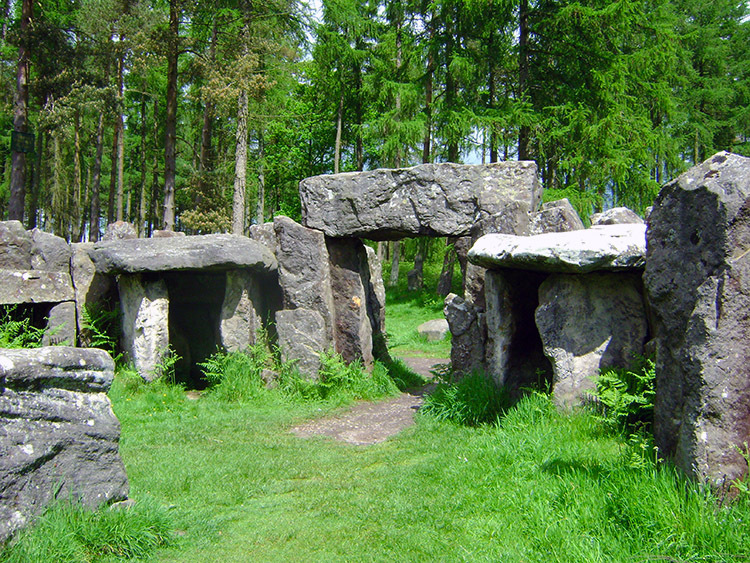 It was not difficult finding Druid's Temple, all the other people walking led us to it and the noise of children playing happily in the surroundings of the temple were an easy audible guide to follow. 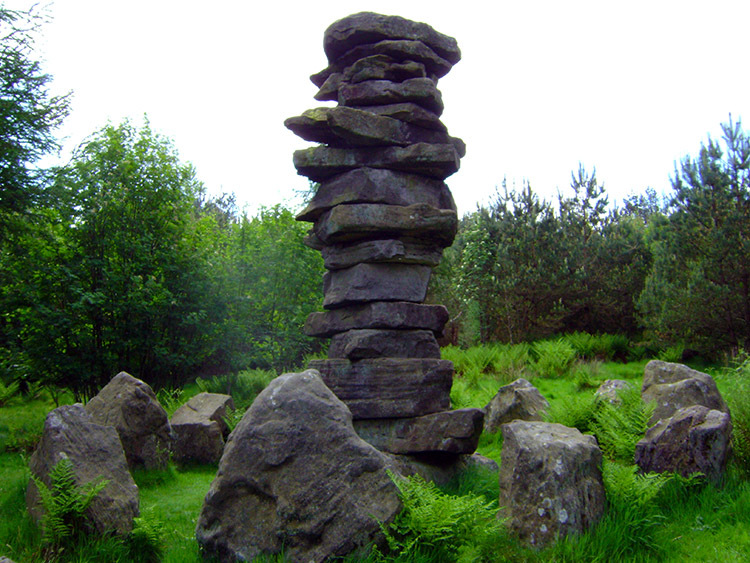 The Druids Temple is a folly created by William Danby of nearby Swinton Hall in 1820. 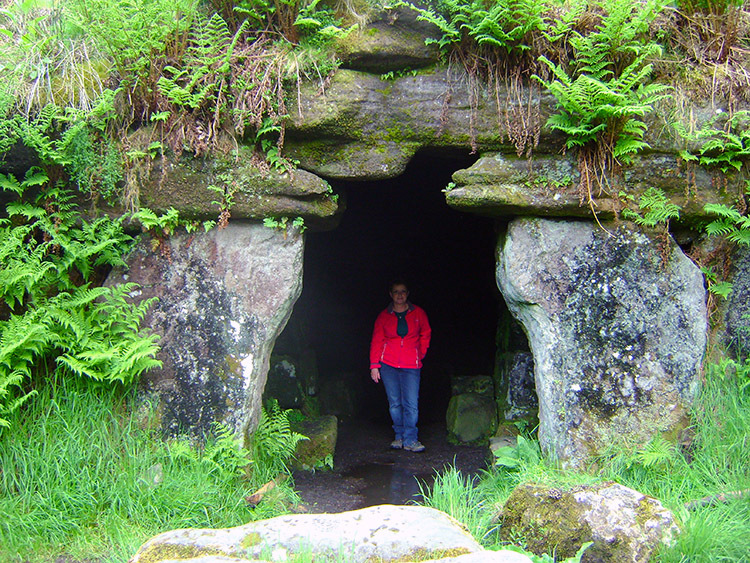 The structure includes a large stone table, a couple of sheltered caves, one of which Lil is seen standing in, and an altar stone. 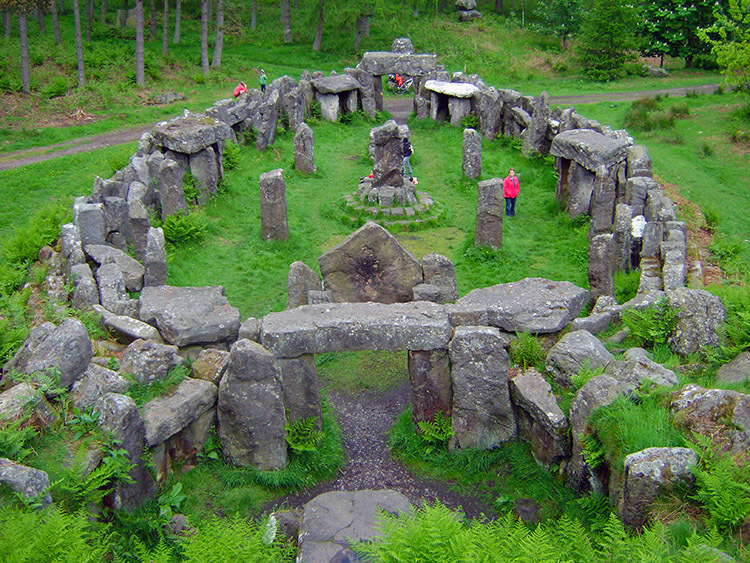 The temple is approximately 100 feet long and 50 feet wide, with some of the stones standing over 10 feet high. It must have taken a few of the local population who Mr Danby employed to build the temple quite a while to collect the stones from the neighbouring countryside, arrange it is exactly the right order and then create the temple. It is a notable piece of work and the impressive result is quite an attraction. It is said that a salary was offered for someone to live at the temple as a hermit for seven years and it is believed someone stayed for five years before going a bit mad. I find it difficult to imagine someone could have stayed that long and be isolated completely because the area of the temple would soon have become a talking point and quite the attraction it is today. It is not too far from the villages and hamlets in the neighbourhood so contact with people would have been hard to avoid. Perhaps the hermit went mad in attempts to hide from visitors! Anyway, Lil and I certainly enjoyed our exploration of the temple and its surrounding stone features such as the tall pinnacle of large stones laid on top of each other to a height of around 20 feet high. We were there quite a while exploring before leaving the stone features and wandering around the plantation. There were plenty of good paths around Druid's Plantation to follow. 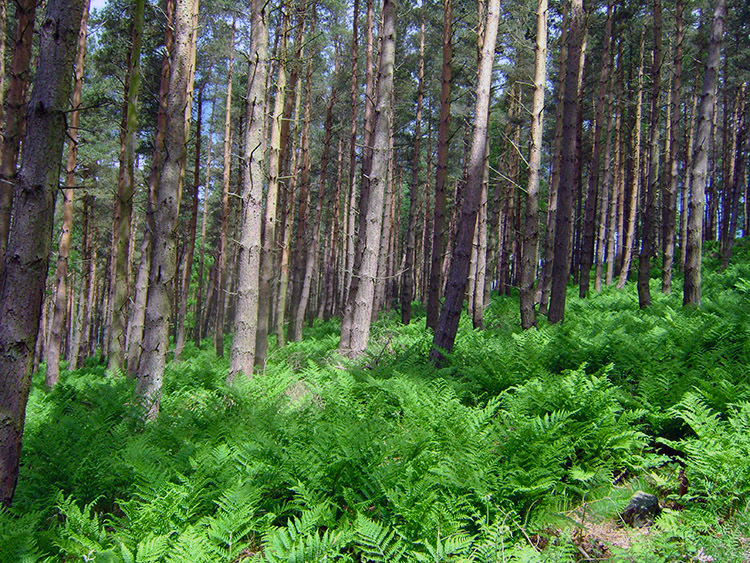 We took a circular course around the woodland, first west, then north, then east and finally south back to the point from where we had set off near to the site of the temple. Along the paths we found evidence of recent logging which kept the provided tracks clear and it was clear tidying up of the paths was an ongoing exercise to keep the plantation in good order. Some more couples were exploring the woodland as we were but most visitors stayed by the temple where the youngsters played. It was good to see proper playing by the young in the countryside in an age of virtual gaming and over exposure to TV. Heartened by such a sight we left the children playing and walked back out of Druid's Plantation by the path by which we had entered. Then after passing the field of Yurt's again we walked a fresh course north west. 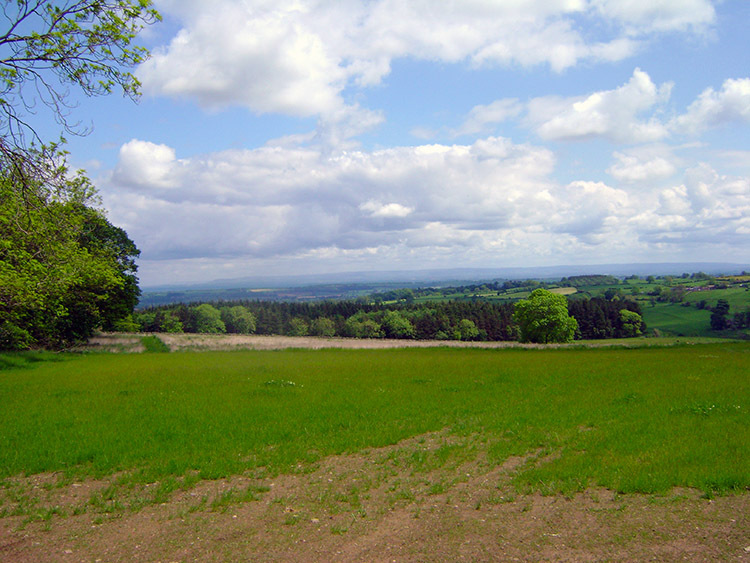 as we walked we enjoyed lovely views of the lush green countryside in our eyesight. 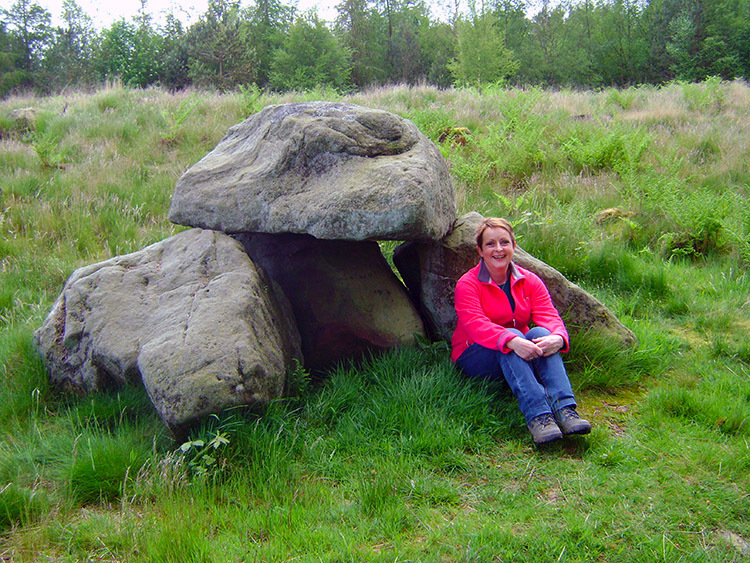 We walked gently across more fields skirting beside the western edges of Knowle Plantation and Broadmires Wood, a section of walking positioned slightly higher than Leighton Reservoir which gave us good views of the reservoir and of Clints Moor to the south of it. Descending further we could have continued on a path to Leighton Hall but that was not our course so we forked right to follow a good path heading eastwards on the fringe of Hall Wood and parallel to Pott Beck which terminated when it reached the River Burn near Broadmires. After passing the farm we followed the farm track back to the road which led us a short distance back to the fork in the road we had been at a couple of hours earlier, just after our crossing of River Burn near the secluded stone bridge which we crossed once more before crossing the half dozen fields we had set out along at the start of our walk from Healey. On finishing Lil said "I really enjoyed that walk". That was ample justification for me for I thoroughly enjoyed it too. Should you do the walk we did or the short walk in Druid's Plantation I hope you enjoy it too.